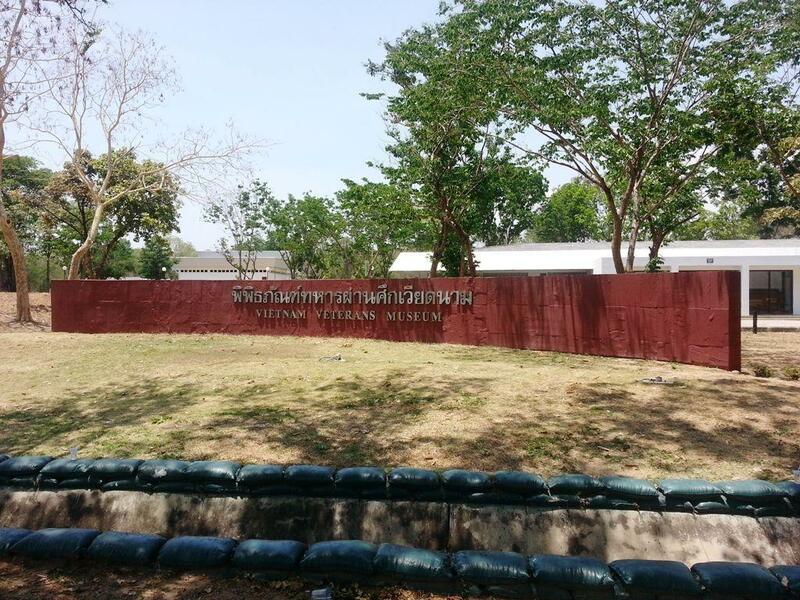 I must admit I was a little surprised when I was driving near Kanchanaburi in Thailand and saw a Vietnam War Veterans Museum. Even though I was in the age group where many of my friends were conscripted to fight in The Vietnam War, I had no idea that Thailand was involved. A few days later, just before ANZAC Day 2015, I was walking across The Bridge on The River Kwai, when I met a member of the Australian Defense Force. He was in Thailand for the upcoming ANZAC Day services. I asked him about Thailand’s involvement in the Vietnam War and he said up until a couple of days ago he was also unaware. We then had a discussion with a young Thai lady, who was with the Thai military, and she said that she was aware that Thailand was indeed involved in the Vietnam war, but did not know how, or to what extent. So to satisfy my curiosity, I started to do some research. I must admit I was a little surprised with what i found out and just how ignorant we Australians are in general about what happens at our own back door. We, (and I include myself in the we), are often (too often) critical of countries like America for not knowing much about world history especially where it does not involve the US. Here I was, living in total ignorance that Thailand was involved in the Vietnam War at all, let alone the extent to which they were involved. I will give you links for more reading but first I will outline some of the key points that my research revealed. As I conducted my research, I began to understand why we did not know. When it came to the Vietnam War there was much “non information” from many parties. The United States Air Force (USAF) deployed combat aircraft to Thailand from 1961 to 1975. During the Vietnam War, about 80% of all USAF air strikes over North Vietnam originated from air bases in Thailand. The fighting in Laos was of great concern to the Thai government. The government feared that should Laos fall to the communists, the “Domino Theory” would place the entire region, including Thailand, in jeopardy. The Royal Thai Government began flying reconnaissance missions over Laos on 19 December 1960 with some RT-33 photo jets. United States Pacific Command (CINCPAC) ordered American technicians to assist the Royal Thai Air Force in processing and analyzing the film. The official American military presence in Thailand started in April 1961 when an advance party of the USAF 6010th Tactical (TAC) Group arrived at Don Muang at the request of the Royal Thai government to establish an aircraft warning system. Although the existence of the so-called “Secret War” was sometimes reported in the U.S., details were largely unavailable due to official government denials that the war even existed. The denials were seen as necessary considering that the US had signed agreements specifying the neutrality of Laos. US involvement in Laos was considered necessary because North Vietnam had effectively conquered a large part of the country and was equally lying in public about its role in Laos. Despite these denials, however, the Secret War was actually the largest U.S. covert operation prior to the Afghan-Soviet War, with areas of Laos controlled by North Vietnam subjected to three million tons of bombing, representing the heaviest U.S.-led bombing campaign since World War II. Source of above information and further reading about the Vietnam War see this Wikipedia article. In 1969, Thai government deployed more than 12,000 combat troops, which included Queen’s Cobras and Black Panther Division of Royal Army Volunteer Force, to counter the guerrilla forces in the South Vietnam. Additionally, it had also dispatched around 26,000 volunteer recruits. The number gradually peaked to 15% of the total Thai regular Army by 1971. Thai troops comprising regular and volunteer men proved more effective and deadly against the guerrillas due to awareness of local geography and culture of the region as compared to the U.S. troops who were alien to the region. However, Thailand’s involvement in the direct conflict was not without cost. In total, 351 Thai troops were killed in action while some 1,358 men wounded. In addition to their involvement in the Vietnam Way, Thailand was being distracted by its own communist-insurgency and the Thammasat University massacre. If you take any of our tours that include the picturesque Phu Hin Rong Kla National Park you will see first hand some of the locations where the fiercest fighting with the communist-insurgency took place. I arrived in Thailand in April 1969 and was originally assigned to the 556th. 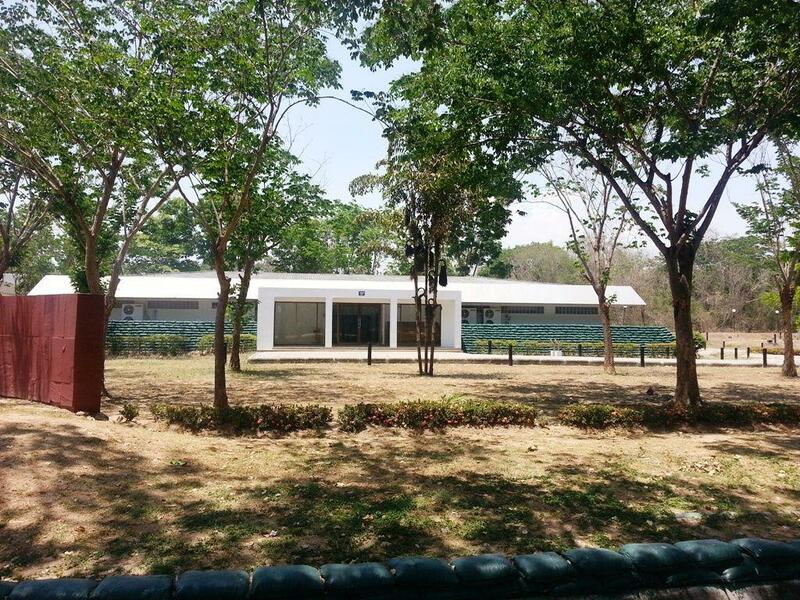 LMC in Kanchanaburi. When Camp Foster closed I was transferred to Korat Royal Thai AFB and assigned to the 270th. Transportation Detachment. I also was assigned to the 70th. Aviation Detachment. I spent 2 years (1969-71) at Korat Royal Thai AFB. In 1971 I was reassigned to the 70th. Aviation Detachment at Don Muang Royal Thai AFB where I spent 2 years (1971-73). I was an Aircraft Parts Supply Specialist and in 1971 I had a one-month TDY at Tan Son Nhut Air Base in Saigon. I was doing liaison between the US Army Aviation Maintenance Center and my unit in Bangkok. Just curious as to what your background is. If you would be interested in writing an article and sharing it here I would be happy for you to do so. In fact that goes for anyone that has commented here in the last few days. This post was written some time ago but for some reason has attracted a lot of attention in the last week. I would be interested in knowing how everyone heard about it and hearing more of your stories if you are willing to share. Some kind big 4 legged cat ran across infront of me and then back to office I went. I was very happy when the sun came up. I was a A-7 crew chief at Korat in 73-74 with the 388th. 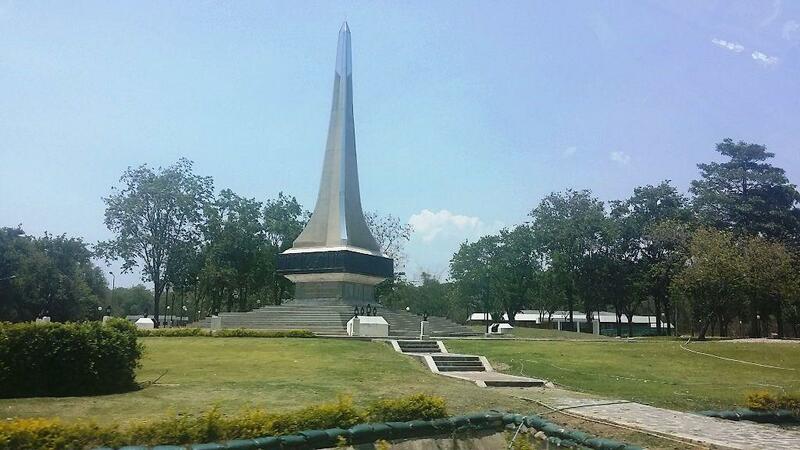 Near my barracks was a large monument with the names of air crew lost from Korat. It was very sobering and I wonder what became of it. Served one tour at Camp Vayama from fall of 1966 to fall of 1967. Our main purpose was support of B52 missions over Nam from Utapao Air Base. Supplied bombs and jet fuel 24/7. Also maintained ammo dumps. Ubon, 1965. Could not tell anyone for years it seemed, until I began to doubt I was ever there! I remember the Panthers. They were highly regarded combat troops. Another organization that is another “Not to mention” was Air America/China Air Transport. They operated out of many bases in Thailand and Viet Nam. During the early years of the war one of their duties was to provide Air Rescue of aircraft going down in Laos and Cambodia as the Air Force was unable to provide this. They were “Known as Civilian” so they were able to work in countries our military was. Also they provided much needed transport of friendly forces. Many of us at Thai bases jut knew them as “Spooks, Agency, CIA and other such names” There were many who lost their lives over there and were not given credit for their dedication and lack of recognition. In 1975, I worked with a few Thai guards that had fought in Vietnam. These men had some very rough stories. These men were also very proud that they fought and they were very respected by all. This above laundry list of US Military actions flown out of Thailand neglects to mention the missions flown by the USMC out of the RTAB NamPhong (affectionately named the “Rose Garden”) from late Spring 72 – Fall 73. These missions included close air support into SVN and southern NVN as well as Laos. Barrier CAP missions were flown west and southwest of the Hanoi area. In Spring to Fall 73, CAS missions were flown into Cambodia. Missions were flown by 3 squadrons. Two were comprised of F-4B’s and F-4J’s and the 3rd squadron flew the A-6. Airborne refueling was provided by a detachment of Marine C-130’s. A detachment of Ch-46’s provided help with security and MARLOG runs. I was at Nakhon Phanom from Jun 67- Jun 68. I flew as a volunteer a flare Kicker dropping flares lighting up the trucks carrying supplies on the Ho Chi Minh trails. When I received my orders to go there the orders merely read assigned to APO 96310. That’s how sensitive the base location was. It was only 8 miles from Laotian border. We had WW2 vintage aircraft which were very effective. RIP All My Thai Brothers and Sisters Who Stood Side By Side With Us And Paid The Ultimate Price You Will Never Be Forgotten. 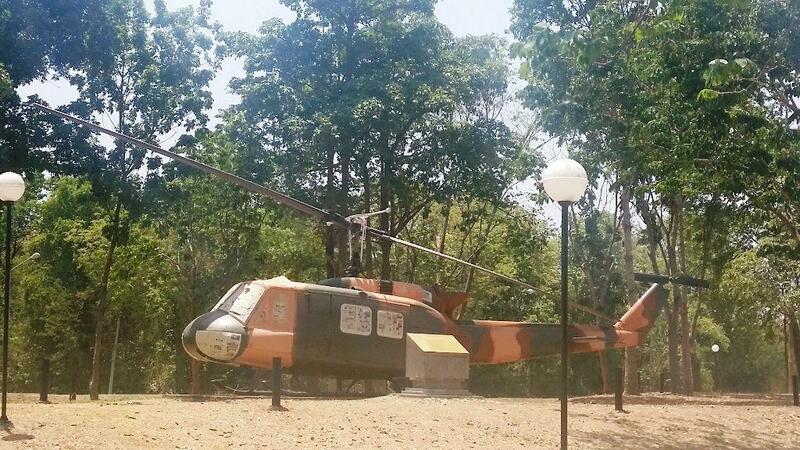 Two Tours In Thailand U-tapao 1967-1968 and Takhli 1972-1973.